When looking for a new eCommerce platform, Shopify and Magento are the two platforms on most companies’ shortlists. That applies both to businesses launching brand new sites, and to those moving from one platform to another. ‘Shopify’ and ‘Magento 2’ are platforms for mid-to-large size businesses, or those with the aspiration to become mid-to-large size eCommerce businesses. 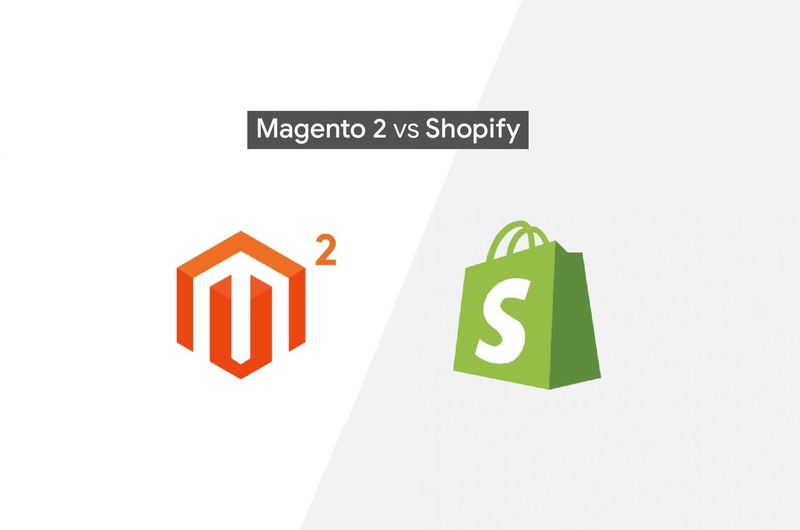 In the battle between Magento 2 vs. Shopify, one thing is certain: these two platforms are pro-level to the max. Both platforms have been designed for successful stores, but with their added functionality comes added costs. It’s recommended that you upgrade to either enterprise plan if you’re doing over half million in revenue a year. You should spend the budget on hiring experts to increase markets or channels. Here’s a short description of each. 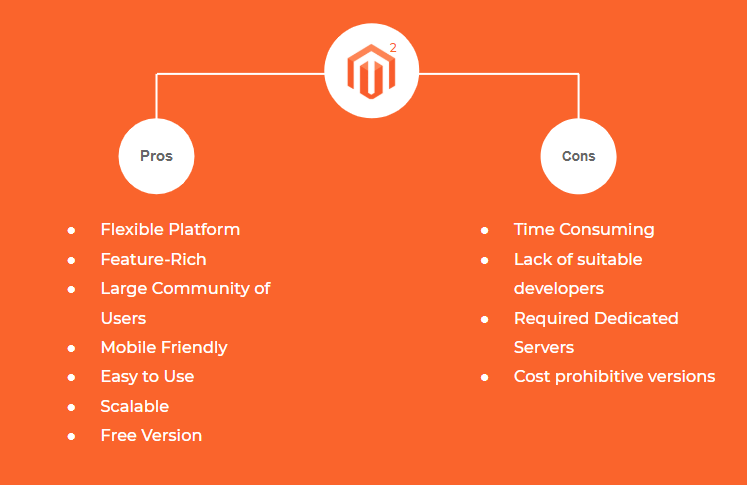 Magento 2 is an open source eCommerce solution that was released in 2015. It is the successor to Magento 1, which was released back in 2007. Magento 2 is available in two distinct platforms, Magento open source, and Magento Commerce. The latter is available as either an on-premise or a cloud solution. In June 2018, Magento was officially acquired by Adobe for $1.68 billion. Adobe plans to integrate Magento 2 into Adobe Experience Cloud (Adobe’s Enterprise CMS platform) — a move which adds an element of uncertainty to the future of Magento. Shopify is a Canadian SaaS (Software as a Service) eCommerce platform that was founded in 2004. The founders, Tobias Lutke, Daniel Weinland, and Scott Lake, created the platform soon after they tried to open their own online store selling snowboarding equipment. The existing eCommerce platforms that were available at the time were not meeting their requirements, and that’s how Shopify was developed. Since then, Shopify made their eCommerce platform available to the public and have seen substantial growth. Which companies are using these platforms? Magento is on a LAMP stack. Shopify, on the other hand, is built upon a Ruby on Rails framework. 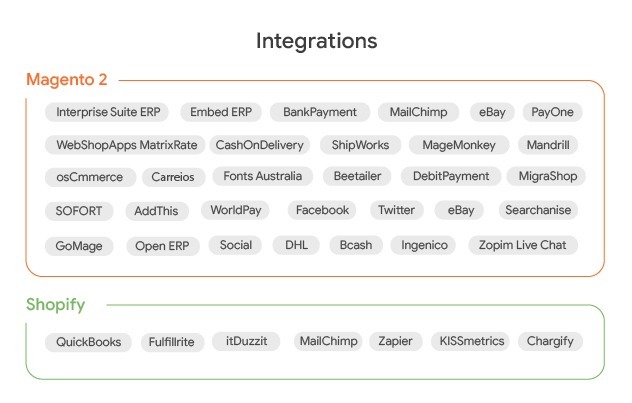 You can check out Shopify’s full technology stack here, which lists every technology used by the company, from Docker to Elasticsearch. 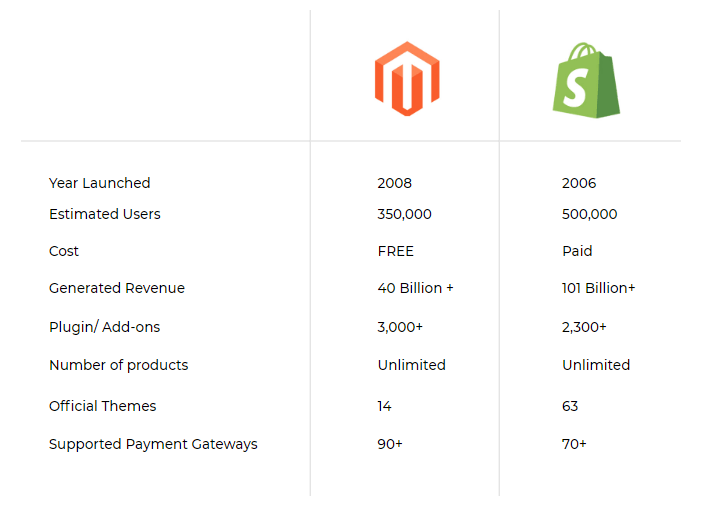 Magento is partially open source, while Shopify is proprietary software. In fact, Magento is partially open source because, while there is a free community version available the enterprise version of Magento, Magento Commerce, is closed source. 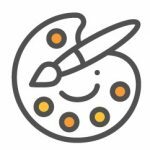 Let’s dive into detail comparisons! 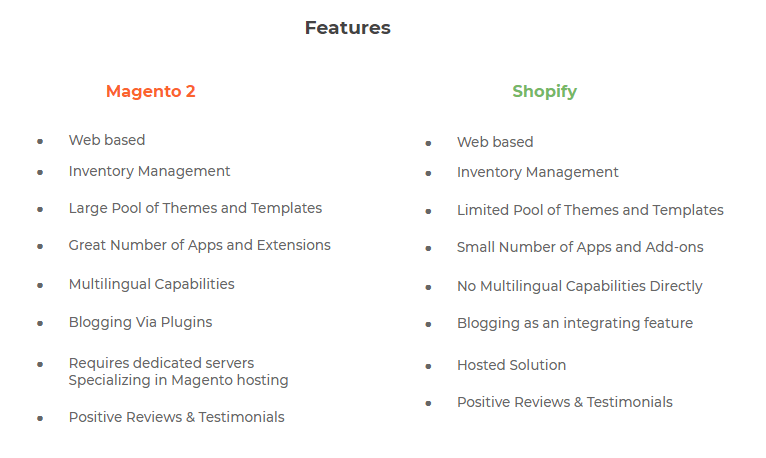 Objectively, both Magento 2 and Shopify provides user-friendly and easy-to-use management dashboard for the admins regardless of their level of technical knowledge. Thanks to that, we can effectively manage products, customers, orders, CMS pages and create sale reports, and so on. 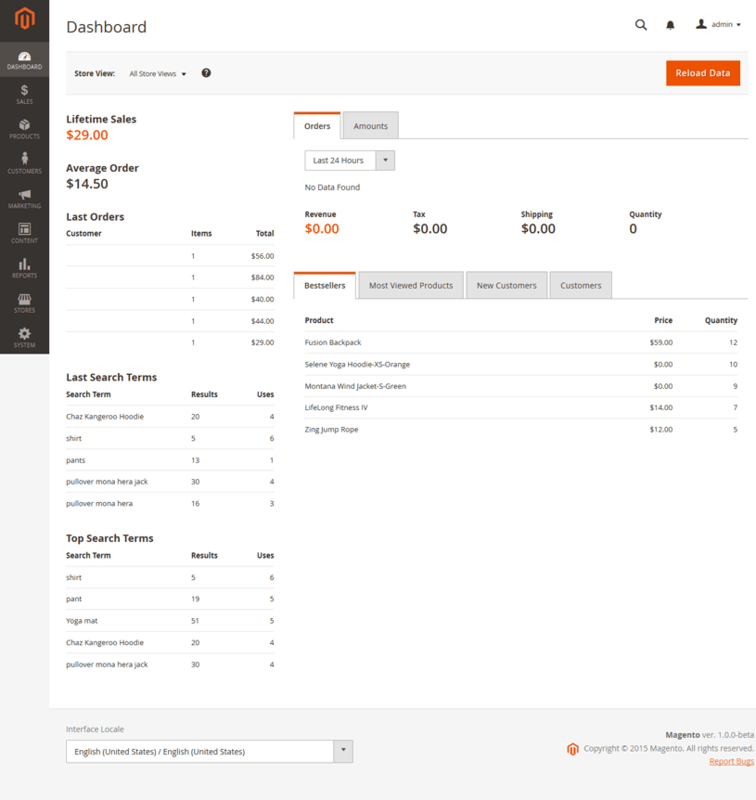 However, from my perspective, I prefer the modern look of Magento 2 dashboard to that of Shopify. In terms of the discount and coupon codes, Magento 2 allows you to generate as many codes as you want by default. Although Shopify also provides this feature, it is not included in the Basic plan. When it comes to the inventory management, Magento users are able to control an unlimited number of items. The same thing is provided for Shopify stores except who are using the Basic Plan – only 25 items are allowed. In regard to shipping, both platforms offer flexible shipping methods and automate shipping fee calculation. Turning to multiple languages setup, you can add as many languages as you want to Magento 2 store by easily installing language packs. For Shopify, you have to look for some language apps. Another common feature of e-commerce stores is blogging, which is available on Shopify and can be added to Magento by using a free or paid extension. The last essential functionalities provided by both platforms are related to SEO & Marketing. In fact, Magento 2 and Shopify gives us similar SEO abilities such as editing meta tags, meta titles, meta keywords, URL keys, alt text, etc., which help to improve website rankings on the SERPs. Website speed is a pivotal factor of an e-commerce store. Many surveys indicated that even 1-second delay can lead to a 7% decrease in the conversion rate. There is a high possibility that the customers will leave your site if they experience slow page load. Since Shopify is a hosted solution, its website performance is guaranteed by the company. It’s true to say that Shopify websites in most cases have a stable and reliable performance. For Magento 2 websites, their website speed majorly depends on the selected hosting services. If you choose a strong host with proper website optimization (codes and images throughout the site), you don’t need to worry about the site performance. Website design is one of the most crucial things that determine stores’ success. There are numerous Magento 2 and Shopify themes for you to choose from, both free and paid. 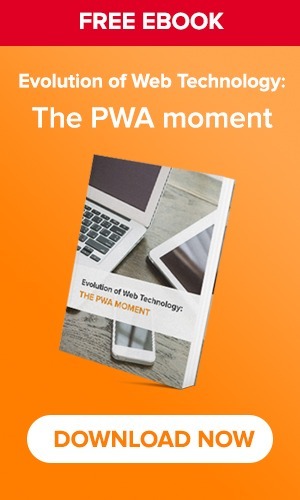 In general, most of the templates are responsive and mobile-friendly, which therefore will be presented nicely regardless of the devices customers use. Magento 2 also has a range of free and premium responsive themes. The new drag-and-drop feature enables you to customize the layout of your website more efficiently, which is handy for non-coders. The thing is that you can do nothing but altering the basic colors and font in Shopify themes. On the flip side, Magento 2 is a flexible and extensible platform, which allows you to customize and create a beautiful and unique design with your creativity. Regards the code, Magento 2 utilizes PHP, whereas Shopify uses Liquid; Magento is open source while Shopify is proprietary. Due to be open source, Magento 2 gives you a power to freely customize the code to suit your needs while it’s impossible to modify the code of Shopify. As a result, Shopify is just suitable for small firms who accept simple websites with a common look and feel. Meanwhile, Magento 2 can meet the needs of the medium and large e-commerce businesses who often require unique and complex stores. Magento 2 only provides developer support. Moreover, Magento 2 users do have the option of purchasing the services of a Magento Technical Account Manager, but this comes at an added cost. Plus, Magento users can always tap into the support of the community of 500,000 certified partners dotted around the world. 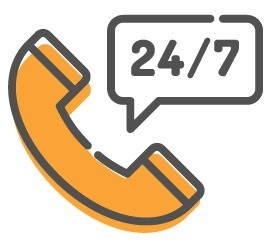 Shopify does provide 24/7 support that you can get over the phone, email or live chat, but only at merchant level. The support you receive covers general platform-related queries, simple bug technical issues, and guidance on marketing. If you need support at development level to implement complex changes, then you have to pay Shopify to cover the development costs. It is best to have a development retainer in place to avoid substantial overhead costs. To begin with, Magento provides two editions, two choices for us, namely Magento Open Source (free) and Magento Commerce. So, if you choose Magento Open Source platform, you can start at $0.00. 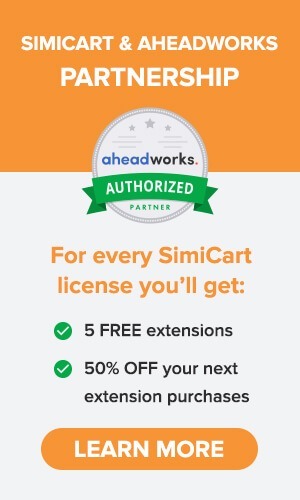 At the same time, Shopify offers a free trial for 14 days, but after that, you will have to pay. However, the initial cost of developing a new website from the scratch based on two platforms are significantly different. In order to build a Magento website, you need to have strong technical knowledge and experience; otherwise, you have to hire a professional Magento agency to do that, which comes at a cost. In general, it will cost you $2,500-$10,000 for hiring a website development company in Asia and at least $15,000 for working with companies in the US, UK, etc. On the other hand, there is no setup fee for a Shopify store. What you need to do is choosing a monthly plan to start with and then, configure the site yourself since it does not require lots of technical skills. To be more specific, Shopify provides the drag and drop website builder tool; hence you can customize your store by just moving elements around the page as you want. That’s why most of the small companies go for Shopify since low early investment. However, for the medium-to-large e-commerce stores, Magento development cost might be not a big deal and will also help them to save in the long-term. Keep reading to understand why. As I have mentioned, Shopify users must select a monthly plan to start and they will keep paying their bill on a monthly basis until they… shut down the store. There are three Shopify edition – Basic Shopify, Shopify, and Advanced Shopify, which cost you $29, $79 and $299 per month respectively. It’s worth noting that web hosting has already included in these packages. On the other hand, you must not pay a monthly fee for using Magento 2 but the hosting fee (from $3-100/month based on your need). Although it does cost, you are free to choose the most proper hosting solution for your store. Apart from that, Shopify also charges 2%, 1%, or 0,5% per sale (transaction fees) if you use external payment gateway instead of Shopify Payments. For example, if you want to include popular payment gateways like PayPal, Braintree, Authorize.net, etc. while using the Basic Shopify package, for every $100 order total, you will have to pay back $2. As a result, assuming that your revenue is $100,000 per year, $2000 from that will be paid to Shopify. On the contrary, Magento 2 does not charge the extra fee for external payment gateways and also integrate PayPal, Braintree, Authorize.net,… on the website by default. 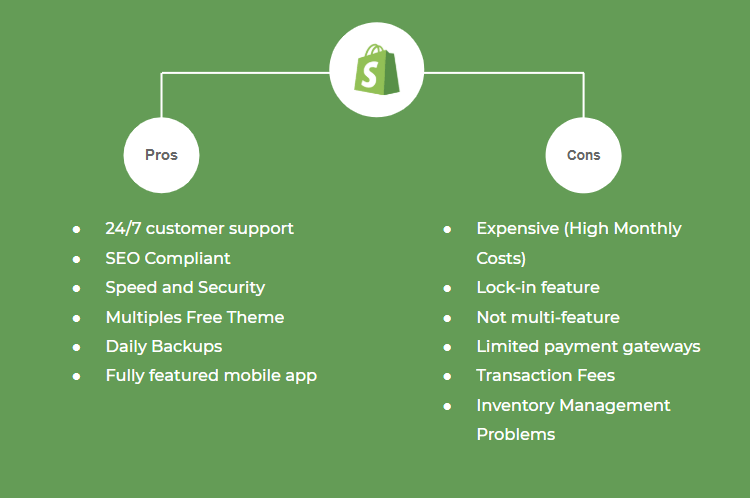 Another important comparison point between Magento 2 and Shopify is their scalability. This means having the flexibility to adapt to changing markets, growing with increased traffic and functionality upgrades. This means having access to the latest tech and being able to set languages and currencies while growing your global business. In this regard, Magento has far more options available; however, Shopify is generally more user-friendly and can be integrated more easily. When it comes to flexibility, Magento Commerce is the clear winner. Otherwise, before you jump for it, you need to decide how much flexibility your specific business will need. If you have an average eCommerce business with an average site and you don’t wish to reinvent the wheel with your products, Shopify’s feature range will be sufficient and flexibility shouldn’t be the deal-breaker for you. However, if you’re looking to build something unique with a variety of promotion and product options, then Magento will be the option for you. Let’s say you want to start offering products in multiple colors, materials, design options, and finishes; Magento will provide more flexibility in terms of defining different products. Although Magento 2 and Shopify have already provided almost everything you need to go online, it’s highly recommended to consider using some third-party extensions to enhance the website performance and functionalities. Up to now, Shopify offers more than 2,300 apps on its store, which is fewer than the current number of Magento 2 extensions on the marketplace (over 3,000). In comparison, Magento 2 not only provides more plugins in the number but also in terms of quality. 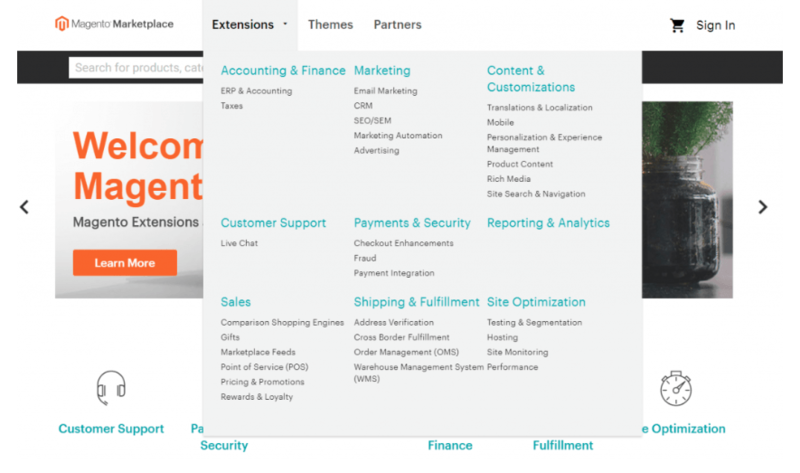 Its list of extensions cover all aspects of store improvements and enhancements, from accounting & finance, marketing, content & customization, customer support, payment & security, reporting & analytics, and so on. 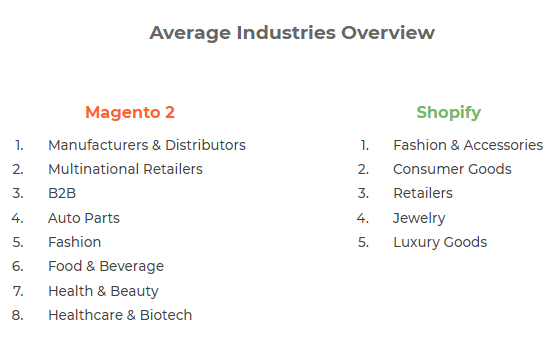 So, Magento 2 vs Shopify, what’s the dealbreaker for you? With all this in mind, I recommend Magento 2 over Shopify. Irrespective of the size of your eCommerce store, with Magento 2 you are always sure about the future. Magento 2 also offers more features. However, if you want everything to work smoothly and operate in the most stable way, you definitely need at least one IT employee (developer system).